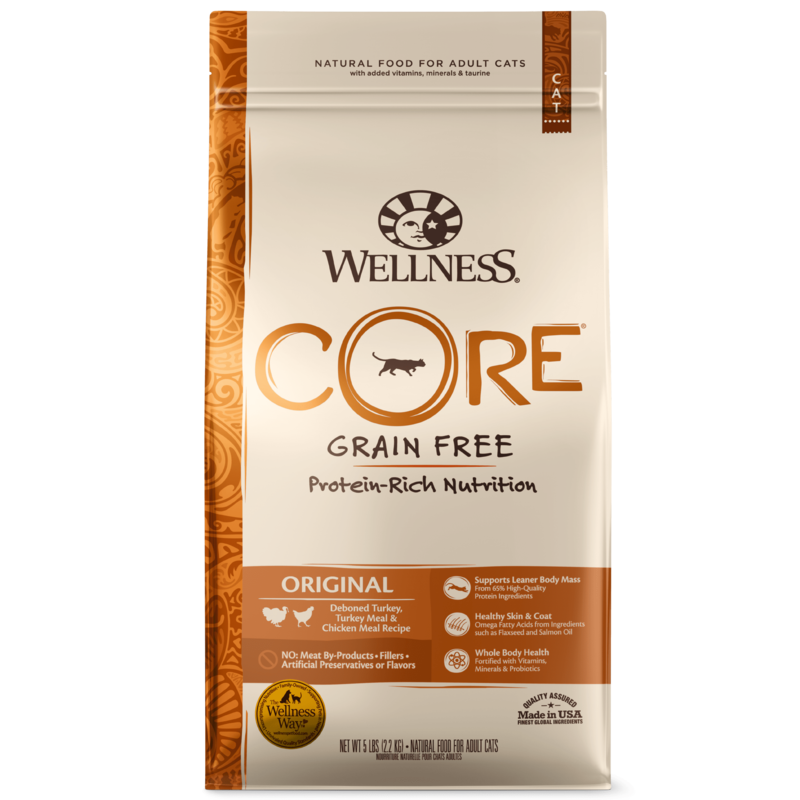 Wellness CORE Original Formula Adult Cat Food is formulated to meet the nutritional levels established by the AAFCO Cat Food Nutrient Profiles for maintenance. 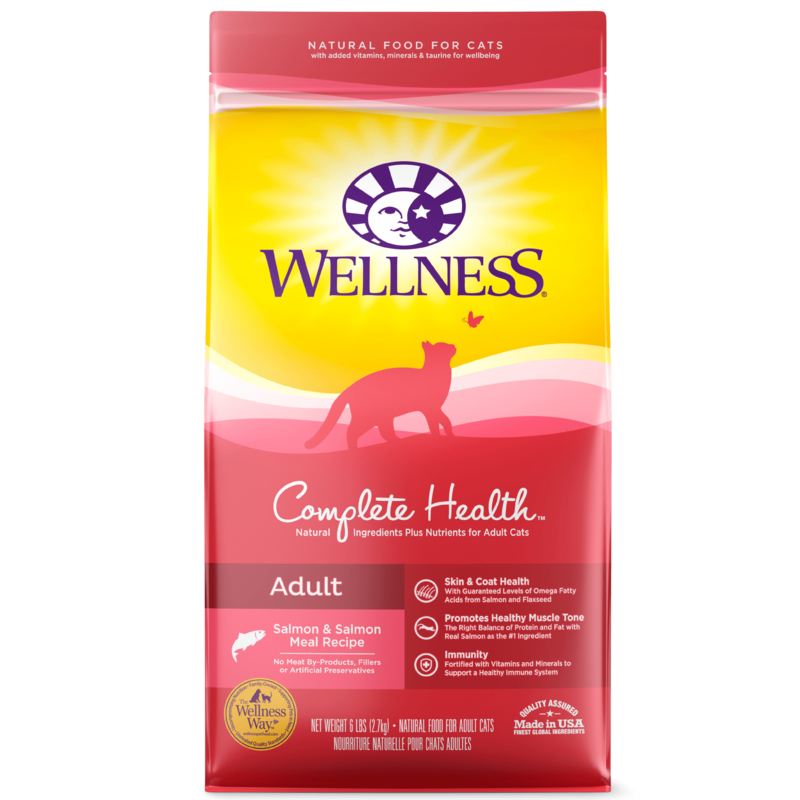 This food is formulated for adult, non-reproducing cats over the age of one year old as kittens and pregnant or nursing mothers have special nutritional requirements. It is important to slowly transition your cat from his/her current diet as it takes a few days for the body to adapt to new nutrient levels. To transition, gradually mix in the new food over a 5-7 day period, increasing the amount of Wellness® CORE® each day, so that you are feeding 100% Wellness CORE by day 7. 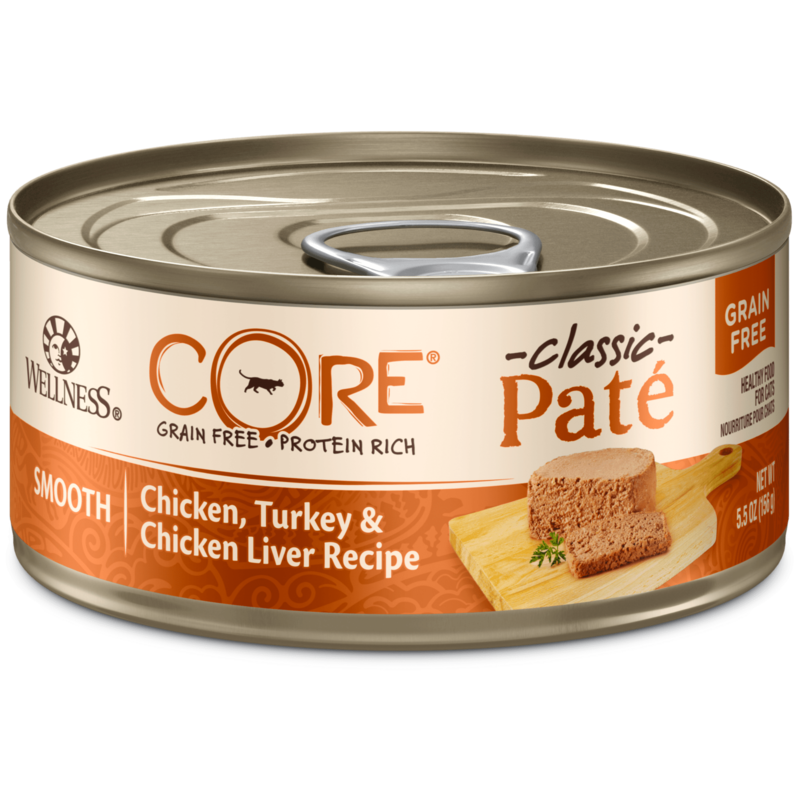 CORE is highly palatable, so your cat may tend to eat more of this food. Watch initially to see if you need to adjust regular eating patterns. Give your cat access to clean, cool fresh water at all times and feed Wellness CORE wet food in combination whenever possible, to increase the level of water in your cat’s diet. Nutrition is the foundation of wellbeing, but be sure to give your cat plenty of love, exercise and see your veterinarian regularly. Cats over 6.8lb: Add approximately 33oz for each additional 0.9lb of body weight. This food contains 3,860 kcal per pound or 502 kcal per cup ME (metabolizable energy) on an as fed basis (calculated).